Be the first to share your favorite memory, photo or story of Windle. This memorial page is dedicated for family, friends and future generations to celebrate the life of their loved one. Windle Williams passed away on Sunday, August 19th @ 3:45PM at the age of 71 after several years of health issues. Windle is survived by his Brothers, Jim Williams and his wife Sue of Amarillo, Donald Williams and his wife Jeanette of Canadian, Terry Williams of Mangum, a Sister, Linda Thomas and her husband Sonny of Elk City. His sons, Rodney Williams and Randy Williams. His daughters Sherri Hill of Mangum, Crystal Biddy of Stillwater and Emily Williams of Mangum. Sons by marriage, Danny Ford, Tim Ford, and Chris Thompson. Grandchildren of blood and love, Logan, Josh, Ashley, Sarah, Dillon, Tanner, Caylan and Jaiden. Great Grandchildren of blood and love, Abree, Daegan, Denver, Karsee, Pistol and Blakelee. His wives, Rosewitta, Nelda and Claudia. Windle lived and worked in the Mangum area his entire life. He was active in Farming, Ranching and family. He attended school in Reed and Mangum, Oklahoma where he was proficient at baseball and basketball. 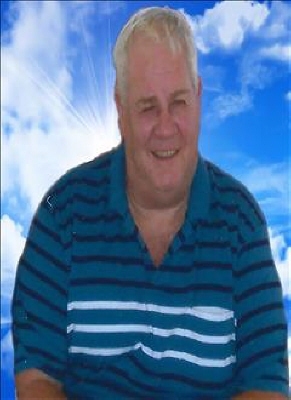 He loved to fish and play with the grandchildren, entertaining them with his many jokes, songs and facial expressions. His funeral is scheduled for 2:00pm Thursday, August 23, 2018 at Grace Christian Fellowship in Mangum, Oklahoma. The family will receive friends on Wednesday, August 22, 2018 from 6:00-8:00pm at Greer Funeral Home. All are welcome to attend and celebrate Windle's life. Condolences can be sent to Ashley Hill of Mangum. The family would like to thank Triad Home Health, Baptist Medical and Greer Funeral home for his final care. To send flowers or a remembrance gift to the family of Windle Lee Williams, please visit our Tribute Store. "Email Address" would like to share the life celebration of Windle Lee Williams. Click on the "link" to go to share a favorite memory or leave a condolence message for the family.